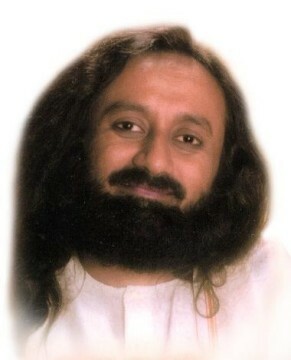 Dear Gurudev, when someone criticizes me I switch off and go into hiding. How to handle criticism without arguing and fighting? Know that you’re magnanimous. Every time you face a criticism know that you are vast like the ocean, and you can take in anything. When you feel small that is when you don’t feel like taking criticism. When you feel you are very big, then you think, 'I am much bigger than this criticism, let me take it in'. When there was Kriya Yoga* already, what was the reason to introduce Sudarshan Kriya? Do both kriyas lead the follower to the same destination? I don’t know why another kriya has come. But I know that it is good that it has come because it has helped many more lives than what the Kriya Yoga has touched. This much I know. On the other hand, we have no right to comment on other techniques. It was very useful at that time for those people. Today, this is very useful. Maybe, today also, for some people Kriya Yoga might be working. And we know for sure that Sudarshan Kriya is working for many more people. So, we acknowledge that and we celebrate this! Dear Gurudev, I love singing bhajans, but sometimes I feel I am being very superficial and just treating them like nice music. How can I discover the real devotion when I sing? Just be natural and don’t worry about your feelings. Feelings keep changing. If you have had devotion and if it is not coming up the next day, you can’t force it to come. Even that devotion is a gift. You can’t demand a gift. When it rises up, just be grateful. If it does not show up and you feel like a rock, then just have patience. This is a passing phase. A time in life comes when you feel such flatness. You feel devoid of any emotion, without any commitment. Like this, a stagnant state may step in, but it is only for a short time. Think it is like one of those cloudy days and wait for the sunshine. 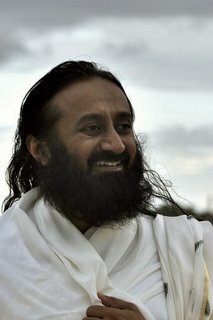 Dear Gurudev, I know that you have stayed by my side when I had no one to talk to or express myself. I have not been successful at work so far and often I am unlucky. I have not been able to take things to completion. Please help me with your advice? The pain or the concern that 'I have not been able to complete things' itself will take you towards completion. So just relax. If you don’t feel concerned that you are not completing things, then there is a problem. But you have that concern, ‘Oh, I am not completing. I want to complete’. As long as that intense wish is there to complete, you don’t have to worry, that will take you to completion. 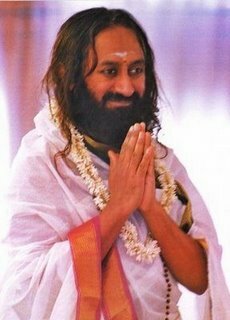 Gurudev, what to do with people who do their kriya and meditation daily but still have suicidal tendencies? They should do more courses and spend more times in satsang. They should keep themselves busy and engage in some seva activity. Dear Gurudev, in my daily life I catch myself breathing very slowly and deeply. In this state it is hard for me to do physical work, or get connected to the situation in hand. Please advice. Do some yoga and do some exercises. Very shallow breath is good while you’re meditating but not while you’re in activity. Dear Gurudev, how do I increase my self-worth and self-esteem? There is no way on the planet Earth. You cannot increase your self-esteem even if the Sun rises in the West and sets in the East. Even if that is possible, it is impossible to increase your self-esteem. Just accept it. Finito! My dear, if you think you don’t have it and you try to have it, it is not going to work! You simply have to recognize that it is already there.